A sequence is a list of numbers separated by commas (for example: 1, 2, 3, …). 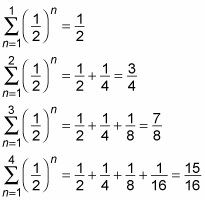 A series is a sum of numbers separated by plus signs (for example: 1 + 2 + 3 + …). When you see how a series and its two related sequences are distinct but also related, you gain a clearer understanding of how series work. Understanding the distinction between a series and the sequence that defines it is important for two reasons. First, and most basic, you don’t want to get the concepts of sequences and series confused. But second, the sequence that defines a series can provide important information about the series. Remember that every series and its related sequence of partial sums are either both convergent or both divergent. 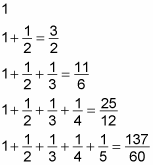 Moreover, if they’re both convergent, both converge to the same number. This series, called the harmonic series, is divergent, so you can conclude that its sequence of partial sums also diverges.